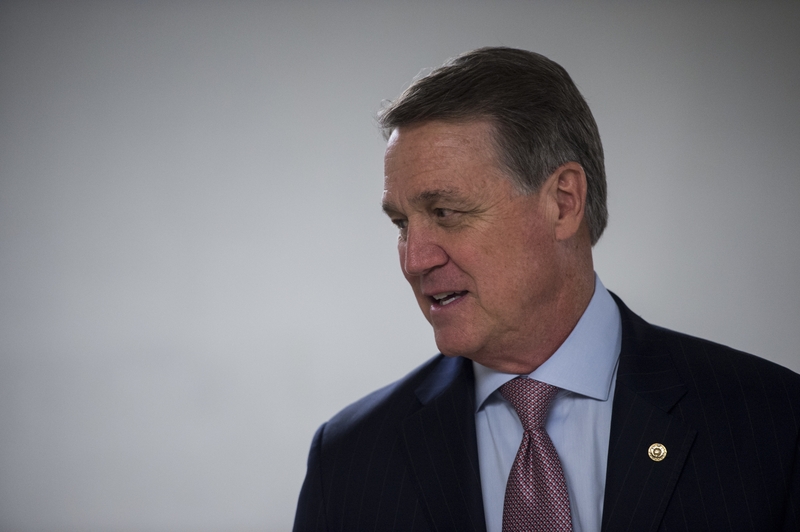 The senators who back a bipartisan bill to overhaul the nation’s sentencing laws said Thursday they&apos;ve gained enough support to pass it — but they still can’t say whether the legislation will make it to the Senate floor this year. The authors of the bill announced changes that had been negotiated behind closed doors for months, or “fine tuning,” as Senate Judiciary Chairman Charles E. Grassley, R-Iowa, described it. The Judiciary Committee voted 15-5 to approve the bill in October , but it stalled amid opposition from a number of Republican senators. The bill generally would give judges more discretion in sentencing, reduce some of what advocates consider the most unfair mandatory minimum sentences, and allow low-risk prisoners to qualify for earlier release. Among the changes, the bill eliminates some provisions that deal with firearms, expressly denies early release to offenders convicted of any “serious violent felony,” and adds mandatory sentencing enhancement for offenses involving a dangerous opioid called fentanyl. Senate Minority Whip Richard J. Durbin of Illinois said Thursday that the bill can pass with the support of a majority of Republicans and Democrats. Sen. Sheldon Whitehouse, D-R.I., said the bill had enough votes to overcome a filibuster and pass. Yet the lawmakers holding the news conference Thursday to tout the bill&apos;s progress couldn’t say if that was enough to persuade Majority Leader Mitch McConnell of Kentucky to allow a floor vote. Majority Whip John Cornyn, R-Texas, said McConnell would look for a bill that has broad bipartisan support and use scarce floor time on bills that can get to the president’s desk. McConnell will have to consider opposition to the bill that remains — as well as significant political hurdles and a major policy difference with a similar effort in the House. Two of the four senators who Cornyn said supported the bill after the changes, Republicans Mark S. Kirk of Illinois and Steve Daines of Montana, were at the news conference. The changes, however, are unlikely to assuage the concerns of the most vigorous Republican opponents of the bill, including Sen. Ted Cruz, the Texas Republican running for president. A Republican-led Senate might not want to vote on a bill, let alone pass it, if the party’s presidential nominee doesn’t agree with it. McConnell would have to allow a vote over the objections of Republicans Orrin G. Hatch of Utah, Tom Cotton of Arkansas, Jeff Sessions of Alabama and David Perdue of Georgia. Another group, the National Association of Assistant U.S. Attorneys, continues its opposition amid concerns that the legislation would increase dangers to public safety. Julie Stewart, the president and founder of Families Against Mandatory Minimums, said the changes took a few steps backward, such as adding a sentencing enhancement for fentanyl. Congress should instead follow the example of lawmakers in Iowa, Oklahoma and Maryland who moved to reduce or eliminate mandatory minimums in the past few days, Stewart said. “This bill was very modest to begin with, and Congress should be strengthening it, not weakening it,” Stewart said. The White House did not weigh in Thursday on the bill&apos;s changes.